Warner Bros. Interactive Entertainment, TT Games, and The LEGO Group released a brand new teaser for the upcoming LEGO DC Super-Villains. The full trailer for the game will be revealed tomorrow, May 30th, which will reveal further details into the game. Make sure you check out the teaser in the player below! You can’t miss the Joker’s presence in the teaser: chattering teeth, the iconic makeup scrawled all over the Superman statue, and the signature laughter in the background. But who else will be entering the fray? The teaser website provides hints and clues to all the villains who might be involved in the upcoming game. Can you figure out all the hints before tomorrow’s big reveal? There is currently no release date for LEGO DC Super-Villains as of yet but expect to find out more in the full reveal tomorrow! The superheroes of DC Comics have previously gotten the spotlight starting in 2008 with Lego Batman: The Videogame, a sequel in 2012 titled Lego Batman 2: DC Super Heroes, and a third game in 2014, Lego Batman 3: Beyond Gotham. Villains have been playable characters throughout the series including fan favorites like The Joker, Lex Luthor, and Two-Face, plus some lesser known bad guys like Black Hand and Bronze Tiger, and even the goofier D-list villains like Condiment King and Killer Moth. What DC Super-villains do you want to play as in the new game? Sound off in the comments below! 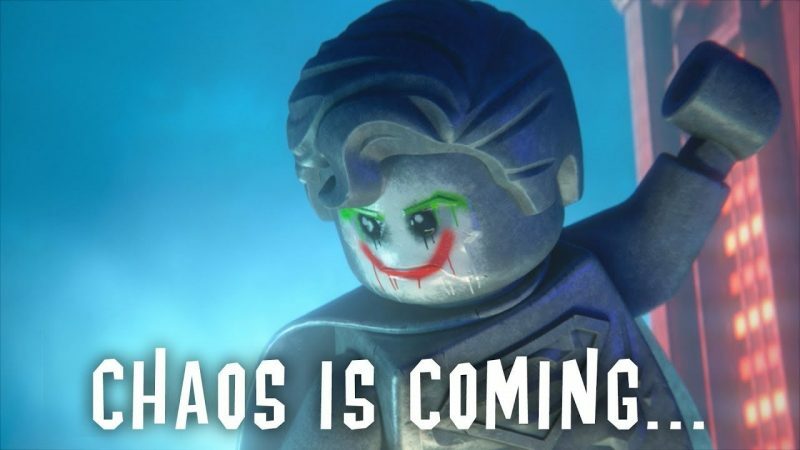 The post LEGO DC Super-Villains Teaser Hints that Chaos is Coming appeared first on ComingSoon.net.